Burlington, ON – July 6, 2016 – At its Annual General Meeting on July 5, Burlington Foundation announced that Ron Foxcroft, Vice-Chair of the Foundation’s Board of Directors, has been appointed to the Chair position. Tim Cestnick, President of WaterStreet Financial Inc. joins as a new Board Member. 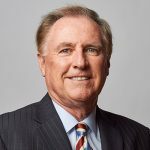 Assuming a two-year term as Chair of the Burlington Foundation, Ron Foxcroft, Chairman, Founder, and CEO of Fox 40 International; as well as CEO and Chairman of Fluke Transportation Group, is well recognized as both a community and business leader. Perhaps best known as the inventor of the Fox 40 Whistle, which is officially sanctioned by the NFL, CFL, NCAA and the NBA, Ron was named among Profit Magazine’s Top 10 Canadian Entrepreneurs of the decade. “I am thrilled to be taking on this greater leadership role on the Burlington Foundation Board,” says Foxcroft. “I look forward to advancing our mission by inspiring our community to come together to Give brilliantly.” Ron’s longstanding community support has been recognized with many awards, among them Honorary Doctor of Law from McMaster University and Honorary Colonel of the Argyll & Sutherland Highlanders of Canada. Joining Burlington Foundation’s Board in 2014, Ron led the support of thousands of 2014 Burlington flood victims as Chair of the Burlington Foundation Flood Disaster Relief Committee. Ron was honoured for this tireless leadership with Burlington Citizen of the Year in 2015. Tim Cestnick brings a wealth of experience in business and non-profit volunteer sectors. 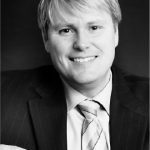 As founder of Canada’s leading wealth advisory firm to affluent families, WaterStreet Financial Inc., Tim is one of Canada’s most respected experts and public speakers in the area of tax and personal finance. In addition to his CA designation, he is a Chartered Public Accountant (CPA), Certified Public Accountant (Illinois), a Certified Financial Planner (CFP), and a Trust and Estate Practitioner (TEP). “As a Foundation Board Member, I look forward to making an even more significant impact in our community,” says Cestnick. “I’m excited to be joining a team where there is a deep commitment to addressing and raising awareness of vital community needs.” Tim’s national speaking profile is confirmed by his position as tax columnist for the Globe & Mail’s Report on Business. He has authored 18 best-selling books and is a radio and television on-air contributor, appearing regularly on CTV, CBC and BNN. Since 1999, individuals, agencies and corporate donors have partnered with us to make change happen. We understand the difference we make is greater when people work together. 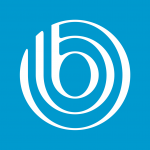 Burlington Foundation collaborates with donors to build endowments, give grants and connect leadership. We help people give brilliantly, build legacies, address vital community needs and support areas of personal interest.